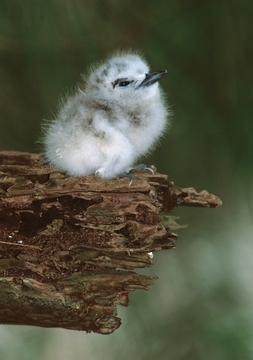 Although this chick has a lot of gray on its back and head, when the white tern (Gygis alba) reaches adulthood its feathers will be pure white. Thanks to its delicate appearance and pristine color, this seabird is also sometimes called the fairy tern or angel tern. Found in tropical and subtropical waters around the world, it feeds primarily on fish, which it dives for and catches at the water’s surface. 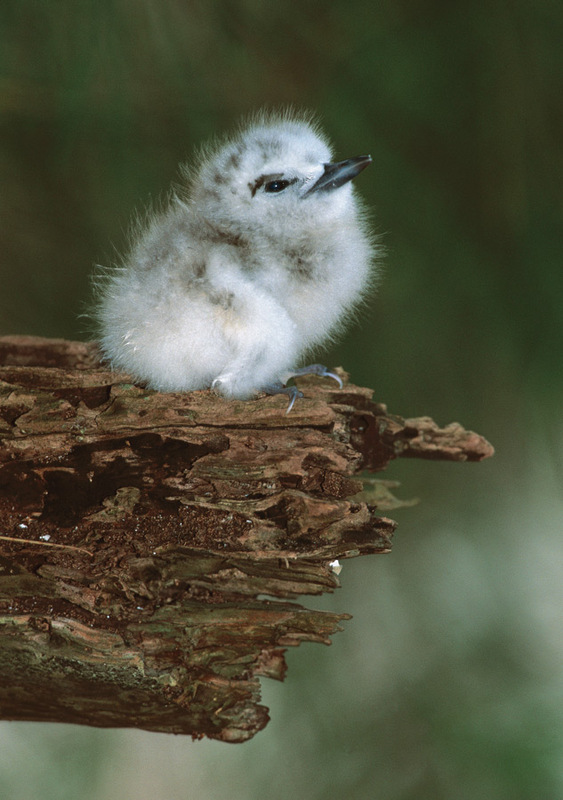 Breeding takes place on coral atolls, but the white tern does not build a nest—after mating, females lay a single egg on a tree or shrub branch among the island vegetation.